The Philippines stands firmly on its call for climate justice as parties to the 23rd Conference of the Parties (COP23) to the United Nations Framework Convention on Climate Change (UNFCCC) come up with the mechanisms to implement the Paris Agreement. This was expressed by Senator Loren Legarda, Head of the Philippine Delegation to the COP23 in Bonn Germany, when she delivered the Philippine Statement last November 16 at the conference attended by representatives of 196 countries that are parties to the Climate Change Convention. 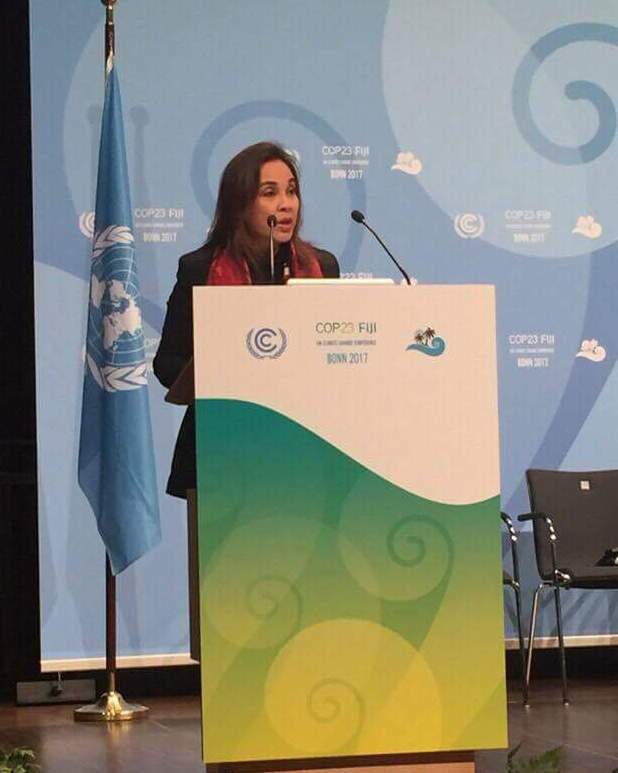 “We come to COP23 with a strong call for climate justice: that those who are most vulnerable, who suffer the most from the adverse effects of climate change and who have contributed the least to climate change are empowered and enabled, in terms of capacity and finance, to fight back,” said Legarda. “We are tasked here at COP23 to advance the implementation of the Paris Agreement. To this end, we welcome the Talanoa Dialogue and urge completion of work on the residuals of the basic minimums of the Paris Agreement. Loss and damage need to be addressed. And commitments on climate finance must be fulfilled and scaled up,” she added. The Talanoa Dialogue maintains that inclusivity and transparency should characterize the facilitative dialogue towards providing clarity on means and modalities for implementing the Paris Agreement. Legarda, UNISDR Global Champion for Resilience and UNFCCC Adaptation Champion, said that despite challenges and limited resources, the Philippines is accomplishing what it can to confront the climate crisis and promote sustainable development. “We ratified and became party to the Paris Agreement. We have mainstreamed climate and geo-tagging into our budget processes. We have set up a People’s Survival Fund, which provides over a billion pesos each year for local government and community initiatives to fight climate change. We have enacted a Renewable Energy law and a Green Jobs Act. We are developing policies on carbon pricing and green banking. We intend to impose a tax on coal. And we are greening our hospitals,” she said. 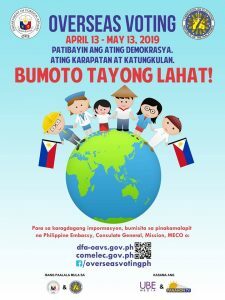 But being a developing nation, the Philippines needs the technical and financial support to pursue more ambitious climate action as indicated in its Intended Nationally Determined Contribution (INDC). It is, thus, vital to show serious and effective scaled-up financial delivery under the Convention and Agreement mechanisms, particularly the Green Climate Fund (GCF). The Adaptation Fund is also a key instrument for the vulnerable countries. of the Financial Mechanism, with a focus on identifying ways and means for the mobilization of support for actions, at the regional, national and sub-national levels,” Legarda said. She further stressed that climate finance delivery will help unlock greater adaptation and mitigation ambition while fulfilling core principles under the Convention. “The window of opportunity on achieving the 1.5 degrees Celsius goal of the Paris Agreement is fast closing and any delay will result in the irreversible,” Legarda said. “In our capacity as current chair of the Association of Southeast Nations (ASEAN), the Philippines wishes to highlight the ASEAN Joint Statement on Climate Change to COP23 which among others, calls on the operationalization of the Adaptation Fund and urges the GCF to facilitate and promote direct access of the fund by ASEAN and other developing country parties,” the Senator added. obligations to future generations, because only then can we leave a world where life can continue to exist,” Legarda concluded.